Your landscape doesn’t have to stop showcasing your home or business when the sun goes down. 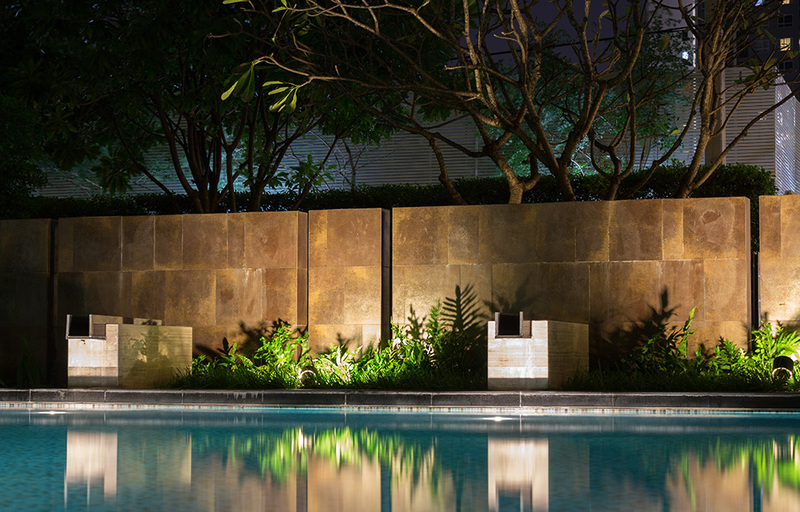 Low voltage outdoor landscape lighting illuminates the best features of any nature scape. Michigan Automatic Sprinkler provides a high level of landscape lighting design and installation services. We offer a wide array of low voltage outdoor light fixtures and solutions to create the ambiance you seek for your home or business, from navigating walkways or up-lighting to accentuating trees and plantings. Design and installation of low voltage lighting systems. Installation of a variety of fixture manufacturers. When it comes to outdoor lighting systems, you won’t find a more qualified or reputable residential outdoor lighting company in Southeast Michigan than Michigan Automatic Sprinkler. We are the first choice for the discerning home owner looking for a variety of exterior lighting applications. Our professional residential outdoor lighting company along with a team of designing installers can help create the perfect ambiance in any room or entryway; we can highlight walkways to increase security measures, and we can even bring light to architectural highlights, landscapes, porch lighting, patio lighting, and even artwork. If your needs go beyond residential purposes, our experts are also trained in designing a variety of commercial venues. From backlighting to porch lighting and increasing performer’s stage presence, we have all angles covered. Regardless of the timing or frequency of the need for a professional lighting company in Commerce Township, MI call our experts today for a no-obligation consultation. Our residential landscape lighting service area expands throughout SE Michigan including communities in Oakland, Macomb, Livingston, Washtenaw, Wayne, Monroe, St. Clair, Lapeer and Genesee counties. Let our landscape lighting team come out and create a plan for your landscape lighting. We will bring lights out and demo how they will look on your home. Call today at (248) 669-1100 for a FREE consultation.